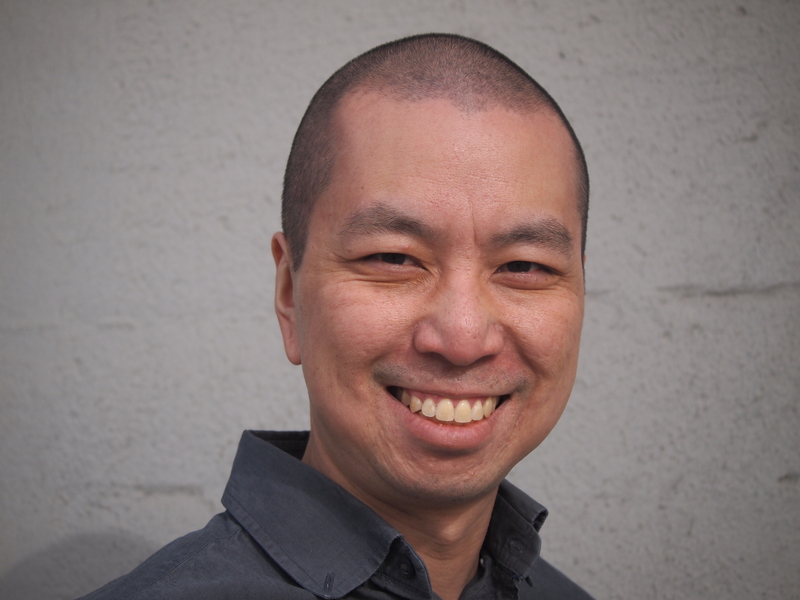 Leland Cheuk is a big part of the Flapperhouse family: he has performed at three of our readings, and contributed three excellent flash fictions to our Summer 2017 issue (including “Vote For Arnie,” which we posted last week). He has also contributed work to fine publications like Salon, Catapult, Kenyon Review, and Prairie Schooner, and has written wonderful books like LETTERS FROM DINOSAURS and THE MISADVENTURES OF SULLIVER PONG. Leland recently exchanged emails with our managing editor Joseph P. O’Brien about his writing, as well as generation gaps, the universal appeal of Haruki Murakami, and the potential economic necessity of polyamory. JO’B: You’ve said that the flash fictions you contributed to our latest issue are part of a “concept album” you’re working on…what can you tell us about the concept of this work-in-progress? LC: I’m trying to write a novel in mostly flash fictions that features an ensemble of feral characters in a feral, near-future America. I’m becoming more interested in absurdity and surreality and I think shorter fiction is generally a better way to explore these aesthetics. It’s an effort on my part to shed some of the things that we writers learn in MFA programs—like the worship of naturalism, social realism, and character development/epiphanies. I just want to be doing something totally new with each book. JO’B: Your flash fiction “Vote for Arnie” suggests a world in which people can go back in time and correct history’s biggest mistakes. If you had one such opportunity, what would you want to fix? What positive results would you hope to achieve, and what negative repercussions would you fear might occur? LC: Great question! I’d come back to kill John Connor. No, I think I’d go back and advise the President to devise a more equanimous response to 9/11. That’s really been the biggest game-changing choice is my adult life. Think of all the lives saved, the military spending that could have been repurposed if we hadn’t gone into the Middle East. Maybe there’s no ISIS. Of course, we’d probably have found another war to get into. Fifteen years is a long time for America to be without war—we’re addicts. JO’B: If you were to run for President in 2020 (in a world without time-travel, of course), what would be your platform? If you won, what would be your first executive order, and your first official tweet in office?